You Are My Licorice: The Belly: St. Patrick's Day. So very close to 24 weeks. I know 24 weeks isn't a magic number - babies before that live, sometimes, and babies born after that die, sometimes. But it's a start. Looking good my dear. 24 weeks is a huge milestone an I am so glad to see you here! Agreed, 24 weeks is a huge milestone! You look so cute! Yay! 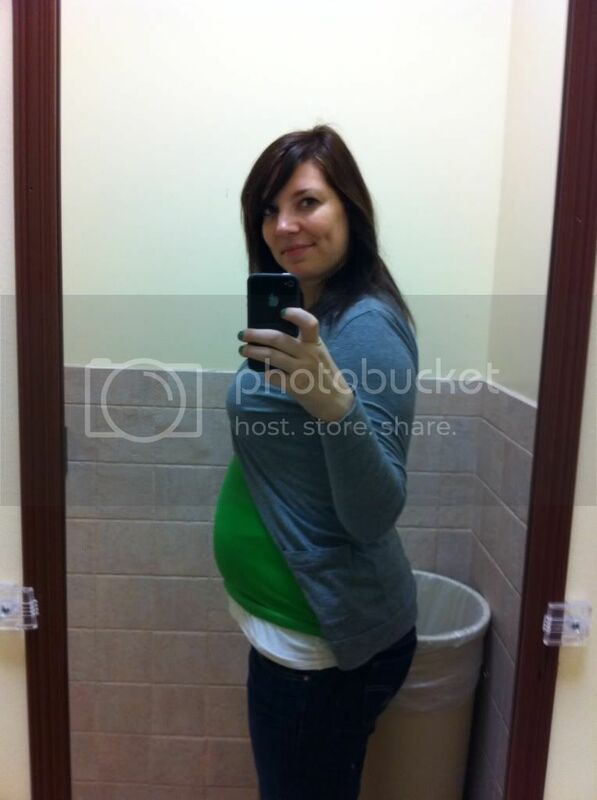 Looking awesome, and 24 weeks is such a meaningful milestone! GO YOU! We're due the same day, right? I am so happy to be hitting viability!